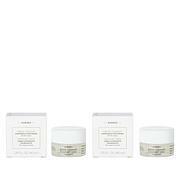 A velvety day cream that, with long-term use, helps lift the appearance of skin on the face, neck and décolletage. After daily cleansing, apply to the face and neck, avoiding the eye area. 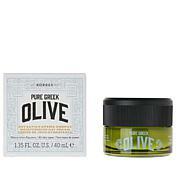 Use alone or over Black Pine Firming, Lifting and Antiwrinkle Face Serum (sold separately). Ingredients: Aqua/Water/Eau, Glycerin, Caprylic/Capric Triglyceride, Olus Oil/Vegetable Oil/Huile Vegetale, Cetearyl Alcohol, Glyceryl Stearate Citrate, Distarch Phosphate, Diheptyl Succinate, Sinorhizobium Meliloti Ferment Filtrate, Hydrogenated Ethylhexyl Olivate, Passiflora Incarnata Seed Oil, Propanediol, Squalane, Alpha-Isomethyl Ionone, Ammonium Acryloyldimethyltaurate/VP Copolymer, Argania Spinosa Kernel Oil, Ascorbyl Palmitate, Avena Strigosa Seed Extract, Benzyl Alcohol, Benzyl Salicylate, Butylene Glycol, Butyrospermum Parkii (Shea) Butter, Capryloyl Glycerin/Sebacic Acid Copolymer, Cetyl Hydroxyethylcellulose, Citric Acid, Citronellol, Coumarin, Crambe Abyssinica Seed Oil, Dimethyl Isosorbide, Epigallocatechin Gallate, Epigallocatechin Gallatyl Glucoside, Ethyl Linoleate, Ethyl Linolenate, Ethyl Oleate, Ethyl Palmitate, Ethyl Stearate, Ethylhexylglycerin, Euphorbia Cerifera (Candelilla) Wax, Glyceryl Caprylate, Glyceryl Stearate, Helianthus Annuus (Sunflower) Seed Oil, Hexapeptide-11, Hexyl Cinnamal, Hexyldecyl Stearate, Hydrogenated Olive Oil Unsaponifiables, Hydrogenated Vegetable Oil, Lactic Acid, Lecithin, Linalool, Lonicera Caprifolium (Honeysuckle) Flower Extract, Lonicera Japonica (Honeysuckle) Flower Extract, Parfum/Fragrance, Pentylene Glycol, Peucedanum Graveolens (Dill) Extract, Phenoxyethanol, Pinus Nigra Bud/Needle Extract, Potassium Sorbate, Prunus Armeniaca (Apricot) Kernel Oil, Salicylic Acid, Sesamum Indicum (Sesame) Seed Extract, Sodium Benzoate, Sodium Carboxymethyl Beta-Glucan, Sodium Gluceptate, Sorbic Acid, Spilanthes Acmella Flower Extract, Tocopherol, Tocopherol Acetate, Xanthan Gum. 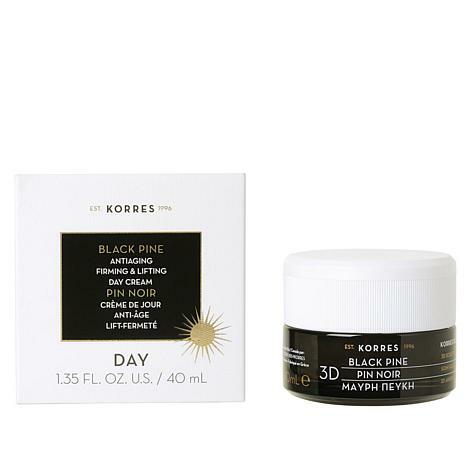 I don't want to be without any of Korres Black Pine Products. Lifts and smooths skin. Cream is a good consistency, you don't need much. Reasonable price, and great results. I notice change in the way my makeup goes on smoothly, and firmness of jawline. I love Korres for the body thought I'd try this after seeing the test results. It does work, my skin feels so soft but not greasy. I plan to buy the night cream as well. I'm 65 and starting to see less firmness, in one week I saw a difference. 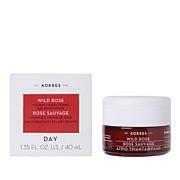 While this product really does the trick as far as all day and night moisturizing it has done nothing it claims to do in the 3 weeks I have had it. There is absolutely no lifting at all. I am keeping it as I keep hoping for the results shown but feel they will not be there. If you want great moisture buy it but not for any lift because after 3 weeks I should have seen something. ANOTHER LIE DOES NOT DO ANYTHING FOR FOR LINES OR WRINKLES. JUST A LITE MOISTURIZER IS ALL. WHICH YOU CAN BUY A LOT CHEAPER IN THE DRUGSTORE AND PROBABLY A BETTER PRODUCT THAN THIS JUNK. CAN'T BELIEVE HOW THESE PEOPLE GET AWAY WITH LYING ABOUT THEIR PRODUCTS.